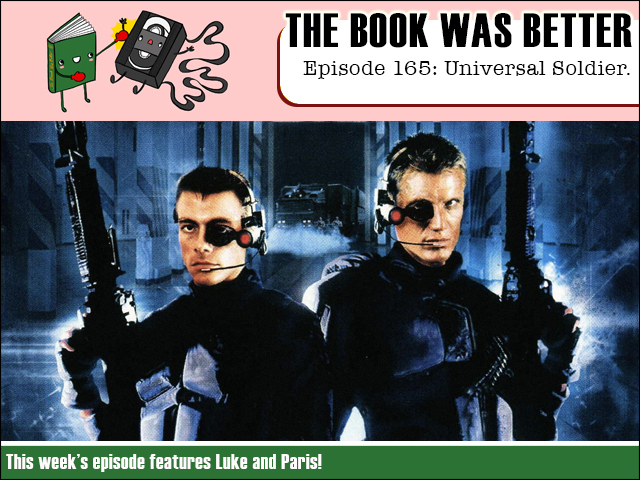 This week we endure a decade spanning grudge match when we read the novelization of the 100% charisma free Universal Solider! Luckily, bringing the charisma is guest host Paris, as we get to the bottom of the Unisol program, Pepsi, and Jean Claude's bottom. Listen and learn!